I have to admit I never ate that beet; I just let it sit on the kitchen table as a centerpiece and reminder of my love. 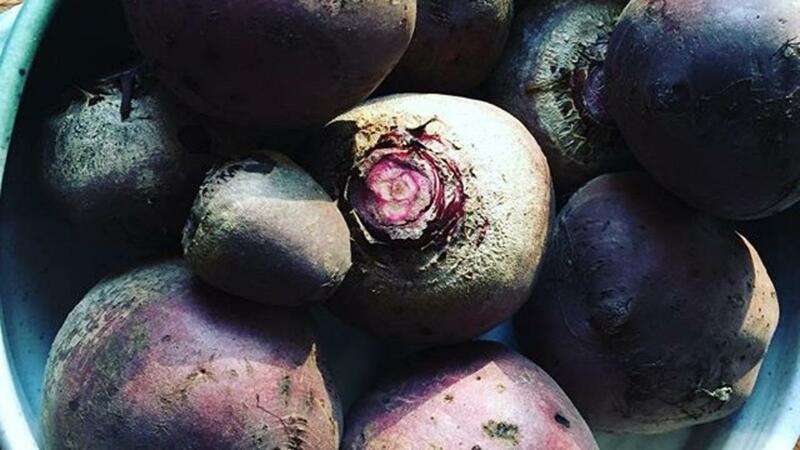 I have never been fond of beets, and when they would appear in my CSA box, I would always look at them and smile as I gave them away to beet loving friends. Place beets and honey in a saucepan and bring to a light boil. Turn down to a low simmer and cover for 30 minutes, stirring occasionally. When beets are cooked, place in food processor and puree. Add remaining ingredients. Place in a well buttered cake dish and bake at 350 degrees for 35-40 minutes. Check if done by knife in the middle- comes out clean, it is ready.